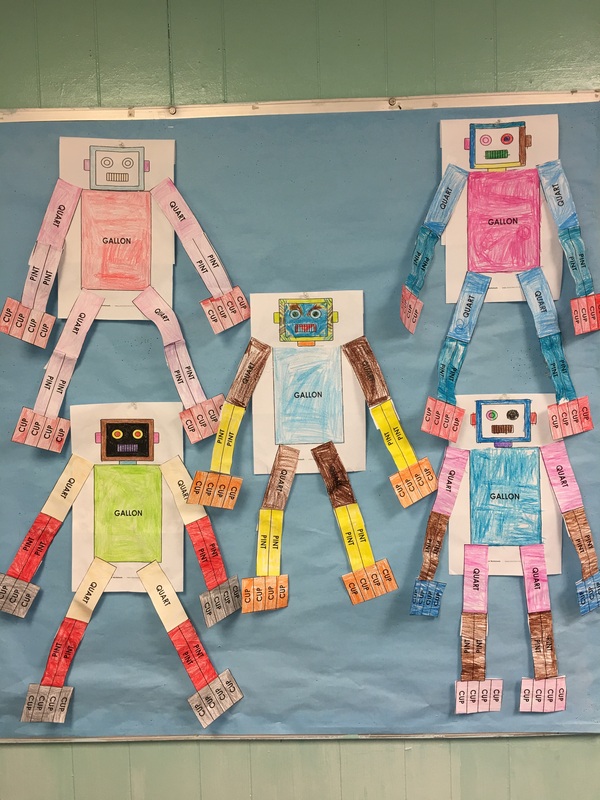 Mrs. Rosiere’s and Ms. Tiffany’s first graders practiced measurements by creating “Gallonbots” in February and researched their heritage by making family trees in March. These were fantastic projects, 1A and 1B. Great job!